END OF STORY ARC 'ORBITAL MECHANICS,' Finale Tim-22's nefarious plans are revealed, and the results are deadly for Quon and Tesla. Meanwhile, the UGC confronts the Robot Resistance, putting the galaxy on the brink of war with Tim-21 and Andy at the center of the conflict. 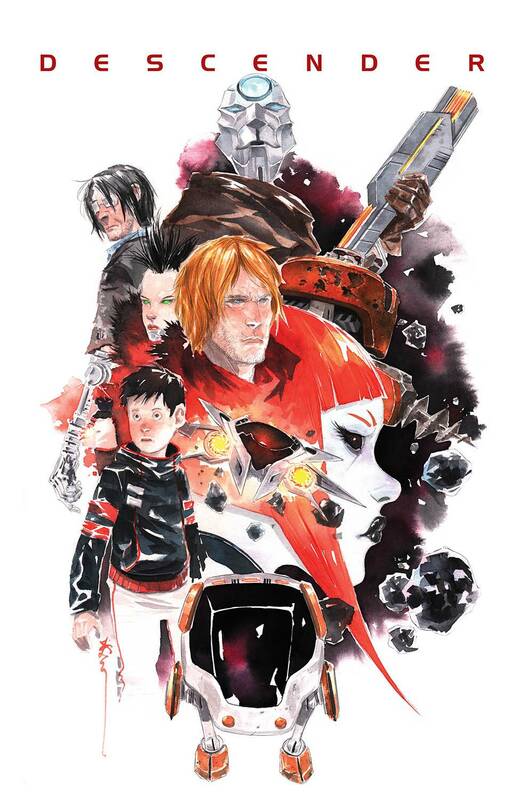 As this story arc comes to its explosive conclusion, the stage is set for the coming DESCENDER 'event': RISE OF THE ROBOTS!